Boy, did I ever have a nacho craving today. Honestly, I have to tell you that I was thinking of nachos most of the day. Do you ever have those food cravings that consume you and don’t leave until you are satisfied? Wanting to Stay true to my health goals I knew that the only way around this was to just dive in. 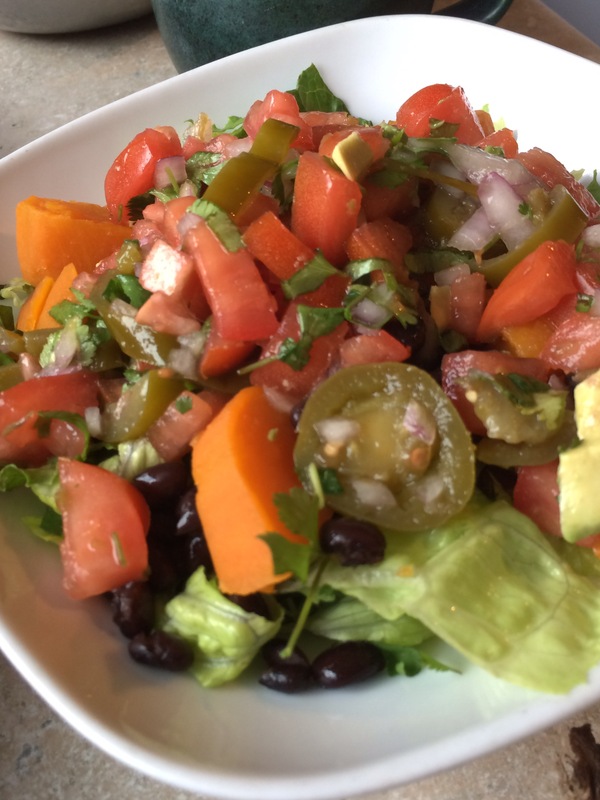 So I plunged into a bowl of this super delicious and nutritious Sweet Potato And Black Bean Nacho Salad. Sweet potatoes are a great source of beta carotene, and collagen. 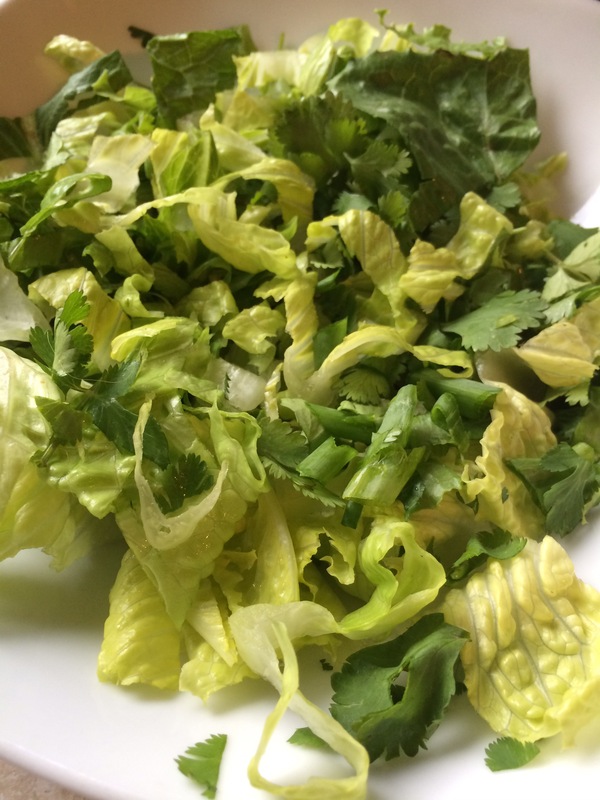 Black beans are a good source of fiber and protein, Jalapeno help boost metabolism, avocados contain healthy fats that help our bodies burn fat, tomatoes and onions are free radical scavengers, cilantro helps the body detox from heavy metals….there are too many good things going on in this salad to list them all!! This is why we call it “eating for health” though, right??!! 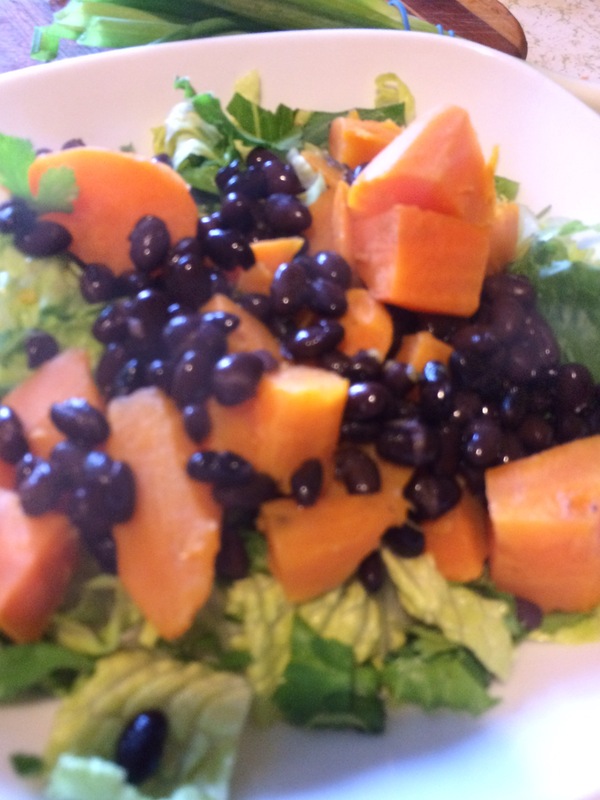 This Sweet Potato And Black Bean Salad is quick to make with affordable healthy ingredients. If you are in a pinch and don’t have any frozen cooked black beans on hand you could use canned organic, but do yourself a favor and cook up a big batch, break it down into freezer packs and use as needed. 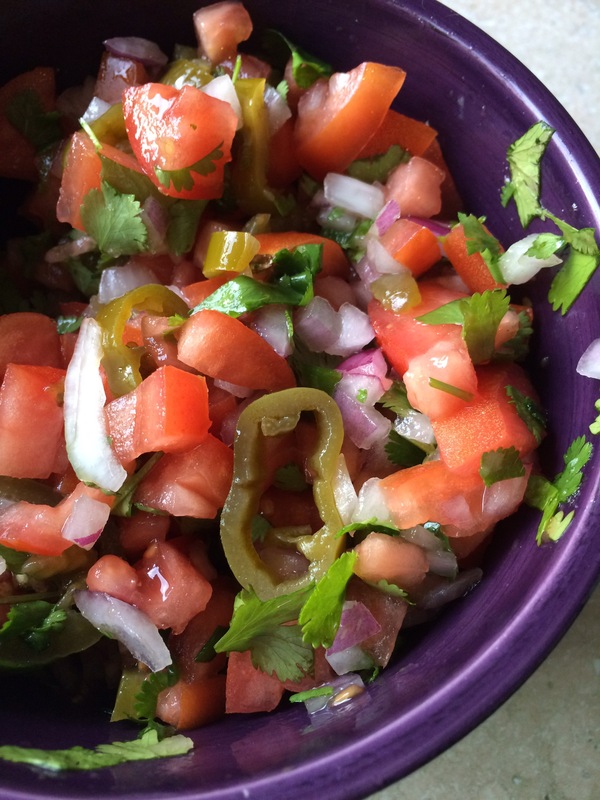 While the potatoes are steaming make the salsa. 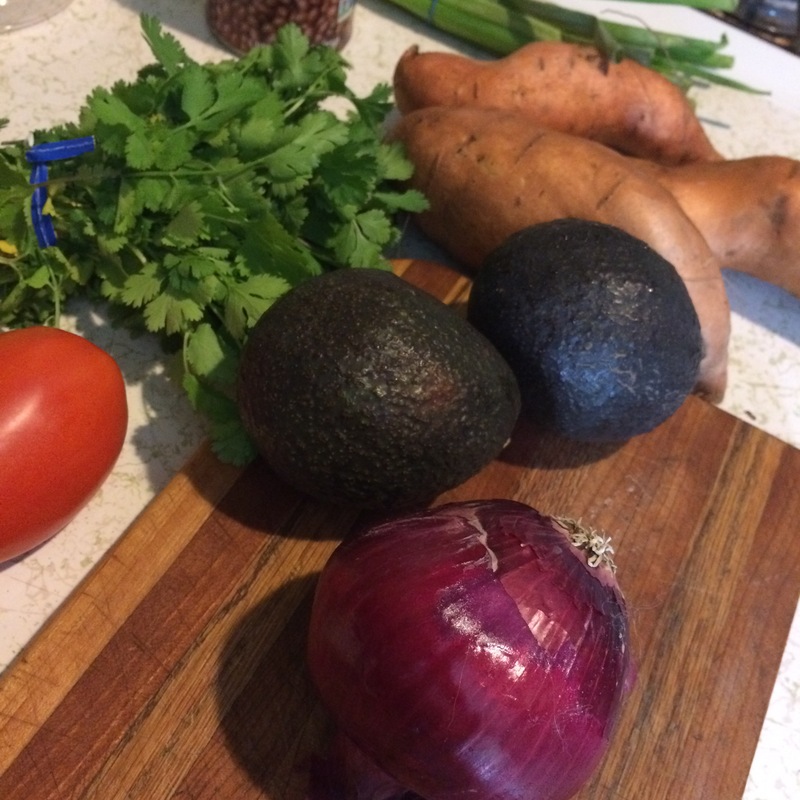 Add all salsa ingredients except for the acocado to a bowl (while sweet potatoes steam) and let the flavors combine. 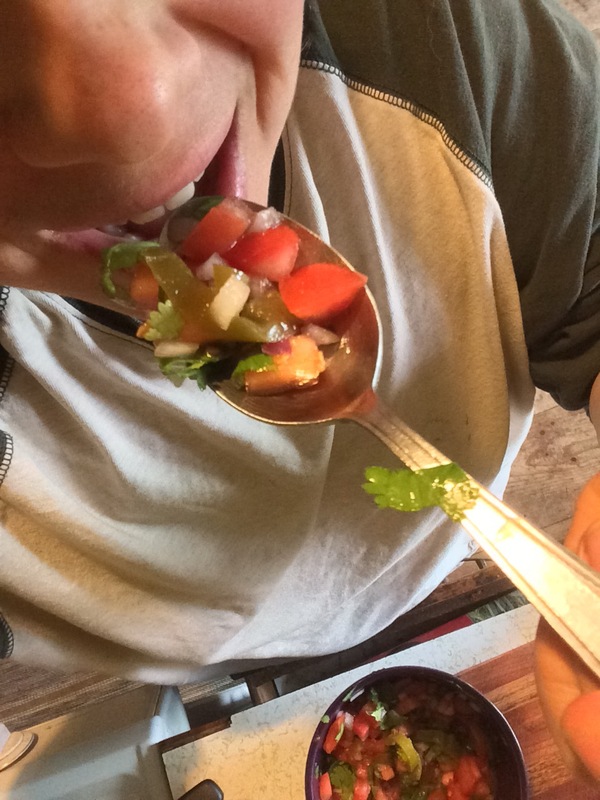 Test salsa:) I tested it a couple of times!! 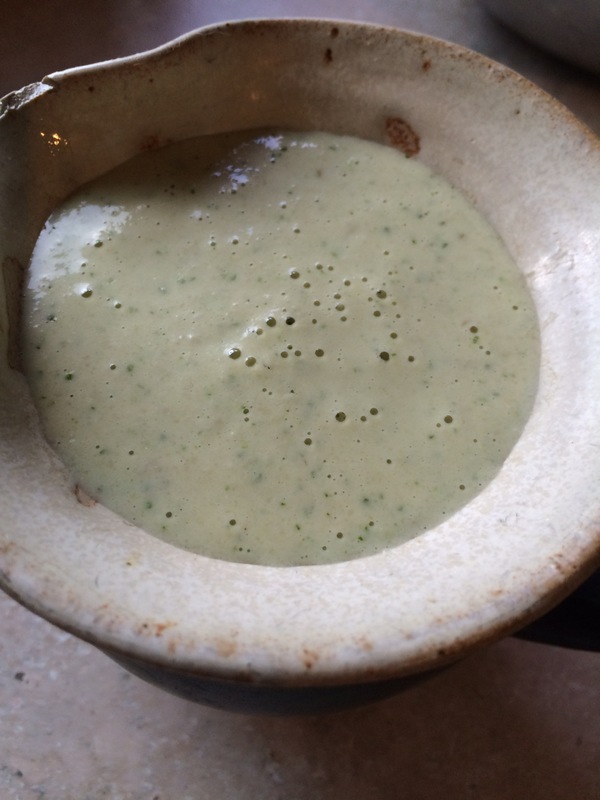 While the potatoes are steaming and the salsa melding make the cashew dressing. By now the sweet potatoes should be done. Now it’s time to make the salads!! 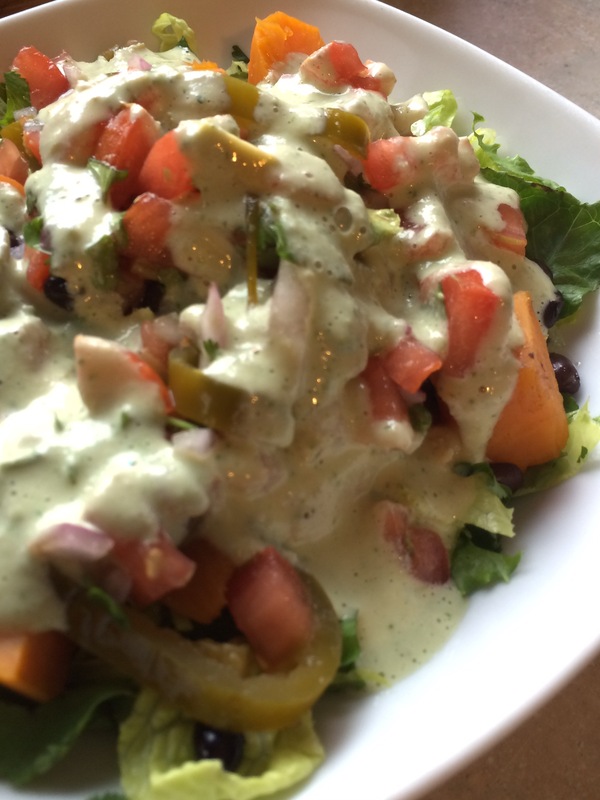 Remaining cilantro and scallions, chopped…add the sweet potatoes and black beans, add the salsa and acocado cubes, top with the Jalapeno cashew dressing. Yummers!!! My nacho craving was totally satisfied and I stayed true to my goals of no processed food. Just good old natural belly filling goodness!! 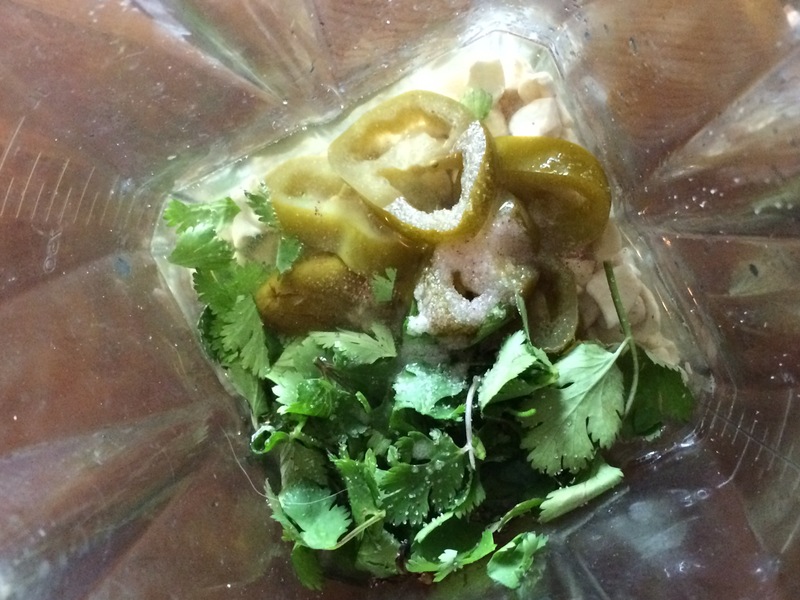 Next PostNext Spring Lilac Tonic For Memorial Day!